From the DA comments: "Under his leadership, Metro City had gold bars in every telephone booth and a slow-cooked roast in every trash can. Hell yeah, Haggar for prez." Whoa. 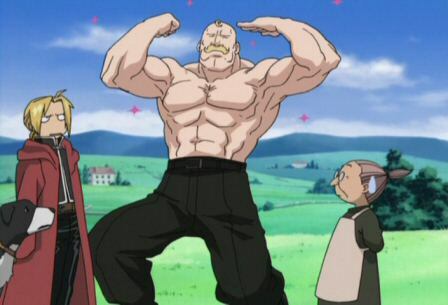 I just realized...that Alex Armstrong guy from Fullmetal Alchemist ripped off Mike Haggar.